You may have noticed wine kegs have made their way into some of the more respected restaurants in San Francisco, like Frances, Delfina and Salt House. At some of these spots, wine directors are commissioning custom blends for wine-on-tap programs: like Gus Vahlkamp, wine program manager at Charles Phan's Out the Door, who's sourcing exclusive creations from Scholium Project and LIOCO for the restaurant's state-of-the-art tap tower. But it doesn't have to be that complicated. Other Bay Area restaurants, like Coda in Oakland and Salt House in SF, choose blends from Free Flow Wines' newly launched Silvertap. 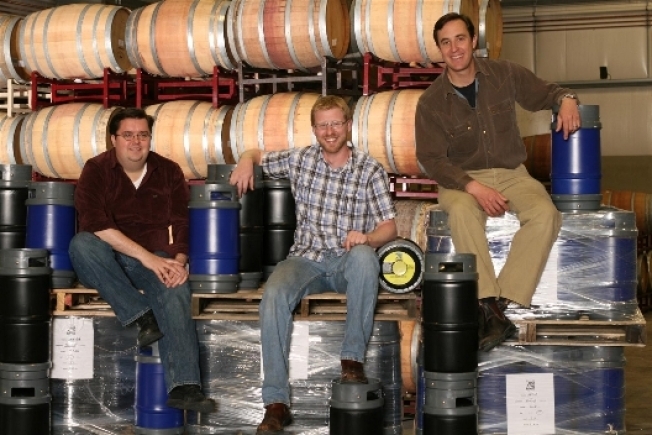 The first brand in the country to create a winery for the sole purpose of producing high quality wine for keg distribution, effectively streamlining the process from vineyard to tap. So why would a restaurant eschew tradition for such a newfangled, seemingly strange concept? Well, the wine on-tap keg system minimizes wasted wine and packaging and increases profit margins for a variety of reasons. And customers like it due to lower prices for high-quality grapes, flexible pour sizes, and the novelty it provides. "The challenge comes in convincing the public that the quality is there," says Vahlkamp. But unlike other attempts to buck tradition, like the oft-opposed Mason jar system at Heart Wine Bar, wine-on-tap adds tangible value to the drinking process and the new infrastructure appears to be building steam. Silvertap, which launched a Zinfandel and a Cab on May 1, should have eight or so total wines in its portfolio by summer's end. The label can currently be found at Annabelle’s Bar & Bistro, Berkelely's Local 123, Ironside, Radius, Fat Angel, The Tavern at Lark Creek, Palo Alto's Slider Bar, and Piatti's four NorCal locations. Future restaurants Hog & Rocks, Roam Artisan Burgers, and Brick & Bottle are installing taps. The posh Claremont Hotel in the Berkeley Hills is exploring a mobile kegerator option, and even Wayfare Tavern and La Mar are looking into it. Although Ty-Flo still has to give the former his coiffed nod of approval.